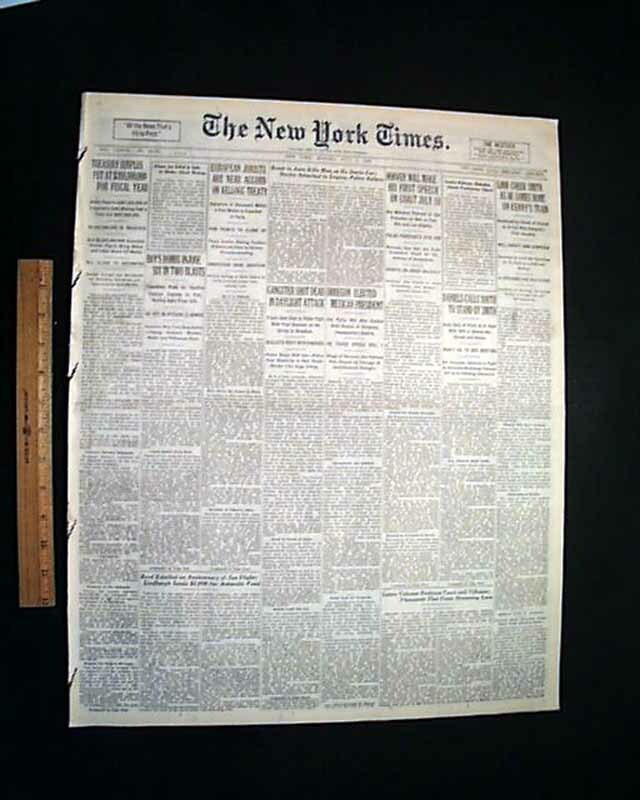 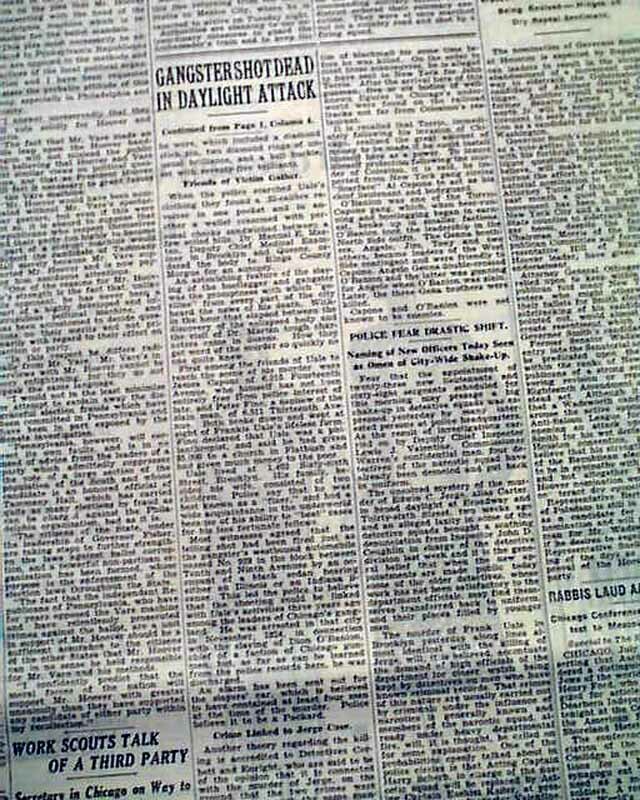 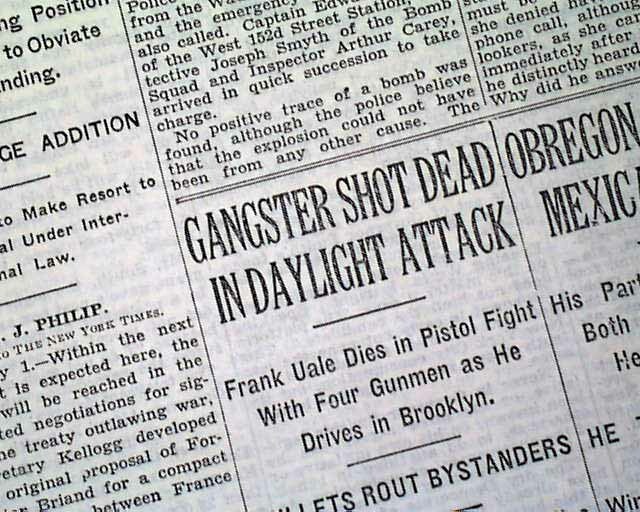 This 40 page newspaper has one column headlines on the front page that include: "GANGSTER SHOT DEAD IN DAYLIGHT ATTACK", "Frank Uale Dies in Pistol Fight With Four Gunmen as He Drives in Brooklyn", "BULLETS ROUT BYSTANDERS" and more (see images). 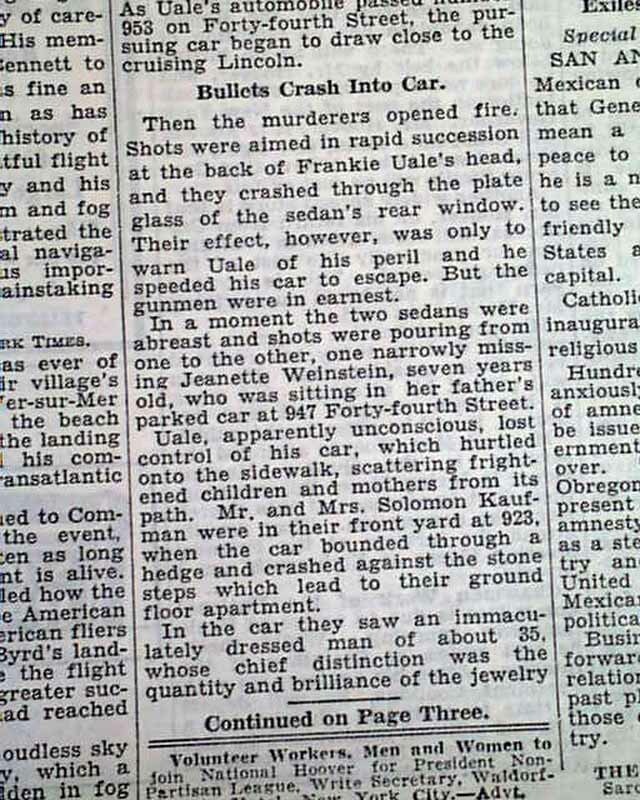 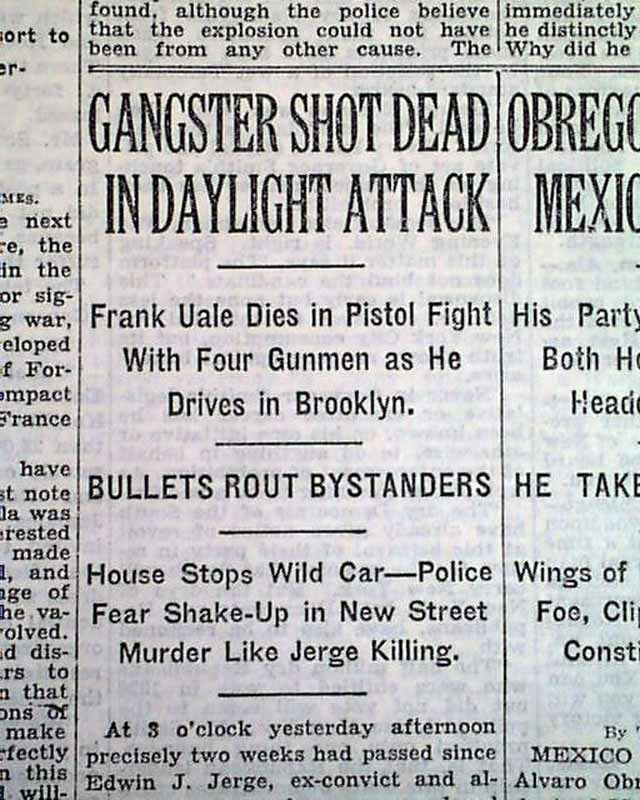 This tells of the death of gangster Frankie Yale (Uale). 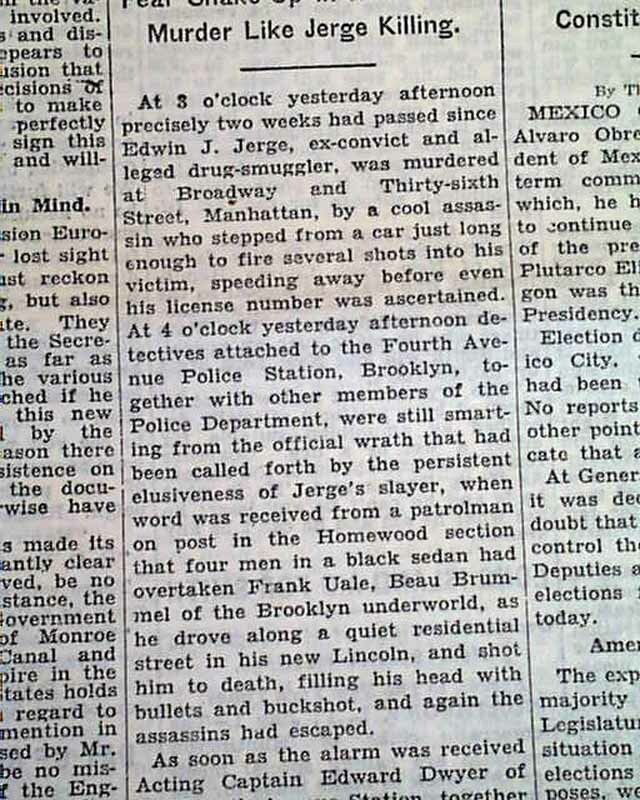 He was a associate of Al Capone. 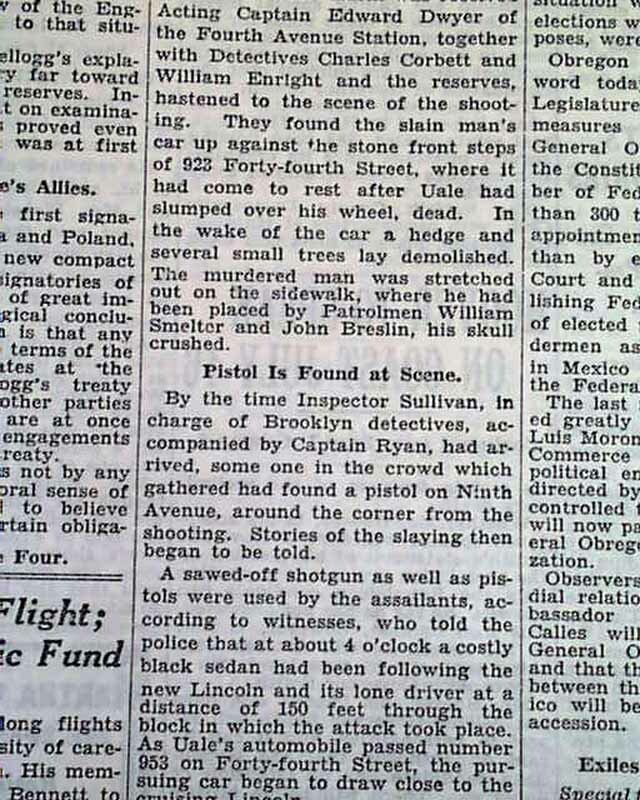 Nice to have in this famous NYC title and on the front page.